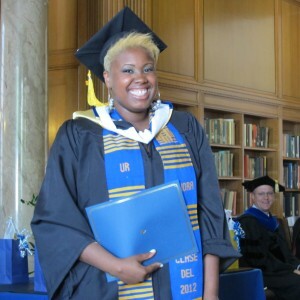 Lecora Massamba, graduating minor and winner of the 2012 Community Connections Award! 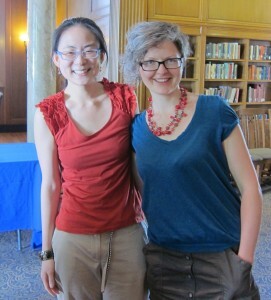 Graduate Certificate Recipients and departmental award winners for the 2011-2012 academic year. We welcomed the unseasonably hot and sunshiney Rochester weather as a gift for Commencement Weekend, although many students were wishing they could trade in their formal commencement garb for shorts and flip-flops. We’re so glad that our students and their families joined us to celebrate their accomplishments, and the air-conditioning in the Welles Brown Room was a bonus for all of us! As we reflect on the year, we’re reminded how truly special our students are, from their commitment to social justice, to, their hunger for knowledge, to their vigilance and careful critique of the world around them. Thank you to all the students who help make SBAI a place of knowledge, commitment, and care! Seeing students off as they depart for bigger adventures and responsibilities is always hard, but we know that they are leaving us to make big changes in the world around them. Becky Burditt and Lina Zigelyte, recipients of the Graduate Certificate in Gender and Women's Studies. The Institute has many ways for graduating students to stay connected. 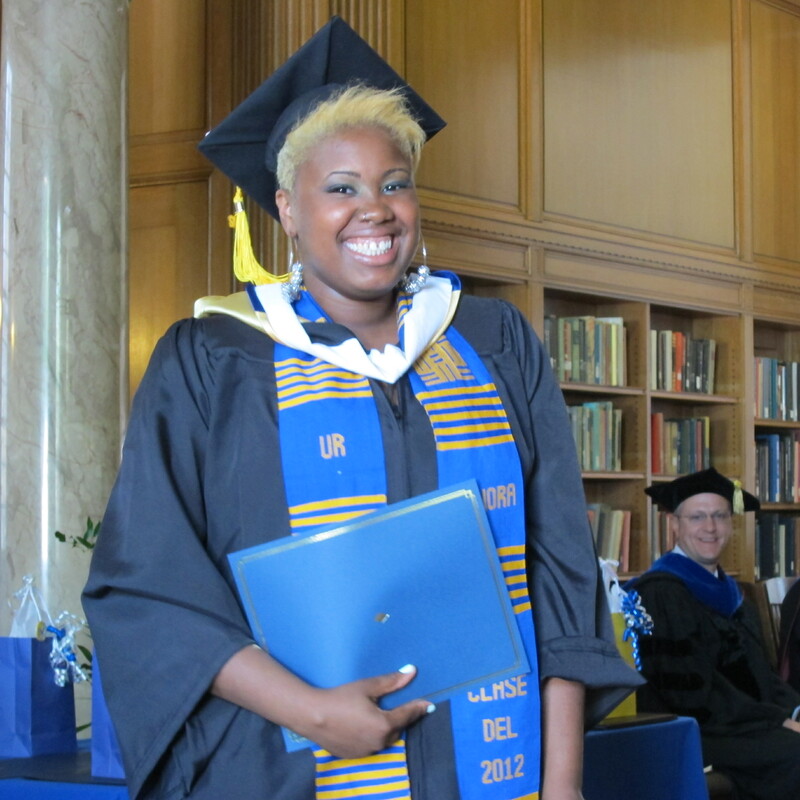 Alumnae (and alumni) can learn about exclusive events and news for former students via our email list, which you can subscribe to by emailing sbai@rochester.edu. If you find yourself in the Rochester area, our events page is the best place to learn about what’s happening throughout the semester! And, as always, our facebook and blog are where you can find extended information and photos, as well as other news along the lines of social justice, feminism, and gender and women’s studies. If you have other suggestions or ideas for keeping in touch, or if you feel like dropping us a line, you are always welcome to contact the Institute at sbai@rochester.edu. This entry was posted in College Events, SBAI Events, UR Events and tagged #commencement, #SBAI. Bookmark the permalink.